Hello Everyone! 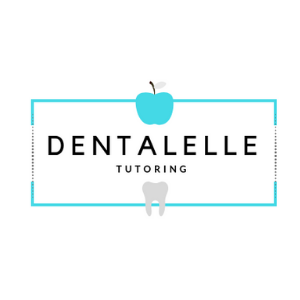 My name is Andrea Twarowski and I am the owner/founder of Dentalelle Tutoring. I went to study Health Sciences right after high school, upon graduation and gaining my Health Sciences Certificate I decided to jump right into Dental Assisting at Medix. I began working immediately upon graduation at a large office with six Dentists! I loved working as a Dental Assistant but I knew my calling was in Dental Hygiene. I attended Dental Hygiene in Toronto and during school became a tutor to help out my fellow classmates and students in other colleges. I had a knack for being able to explain and teach students in a certain way that made them understand what they had trouble learning in the first place. I graduated with Honors from Toronto College of Dental Hygiene and also gained the 'Professionalism Award' for outstanding clinical and professional knowledge in the clinical setting as well as helping my fellow classmates to ensure they also excelled in their clinic and theory portions. Immediately, I began working at the same, large dental practice but also wanted to continue my teaching abilities. I spread the word that I was available to anyone for help in their classroom studies as well as the NDHCB. At age 19 I started tutoring students in their classroom studies and helping them pass the board exam. I can proudly say my success rate in helping students become successful with the board exam is 99.2% (Dental Assisting) and 99.4% (Dental Hygiene) *Updated 2017. I love what I do and maintain passion in this field! I took the Restorative Dental Hygiene Program in 2015 At Algonquin College in Ottawa, and found another true passion! Currently I am a temp hygienist where I work a few days a week as a restorative and dental hygienist part-time. Andrea - owner of Dentalelle Tutoring in The Londoner! The Board Exam Prep Academy is NOW OPEN! Start studying for the Dental Hygiene or Dental Assisting Board Exam - Learn more here!